I'm sitting on the boyfriend couches at Anthropoloie marvelling at an amazing set of books that have no relevance to me at all. 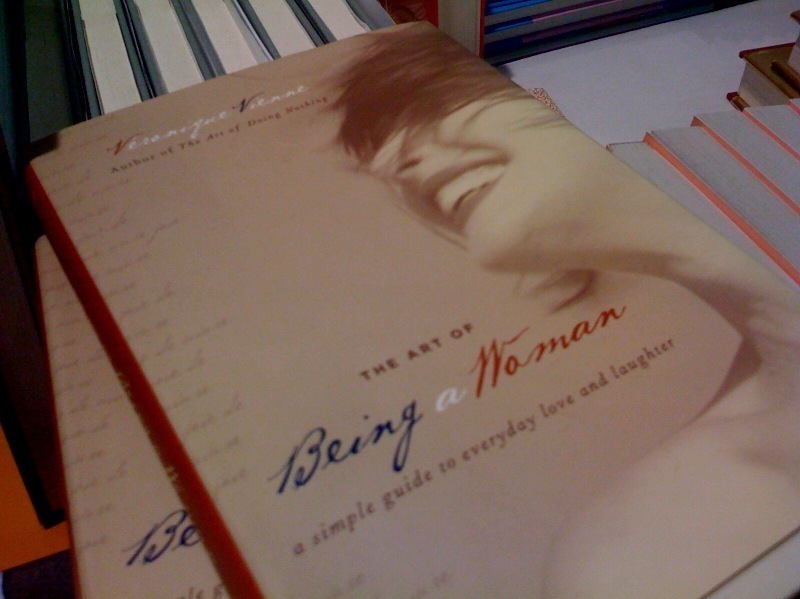 The Art of Being a Woman: A simple guide to everyday love and laughter. How to live like a lady: lessons in life, manner, and style. What I know now: extraordinary women share the wisdom they'd had when they were younger. And my personal fave: Males, Nails, and Sample Sales.